How long will a gas tank last in a Fire Mountain Pyramid Living Flame 9500W heater? 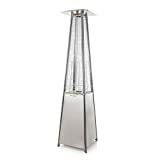 How much does the Fire Mountain Pyramid Living Flame 9500W heater cost to run? 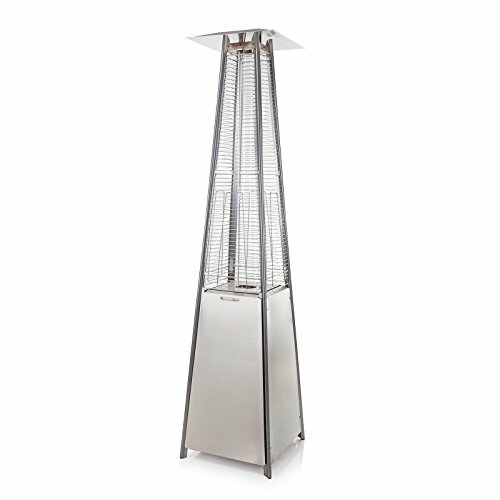 Is this patio heater suitable for home or commercial use? Ready to impress your mates? Or looking for something extra special for your customers? 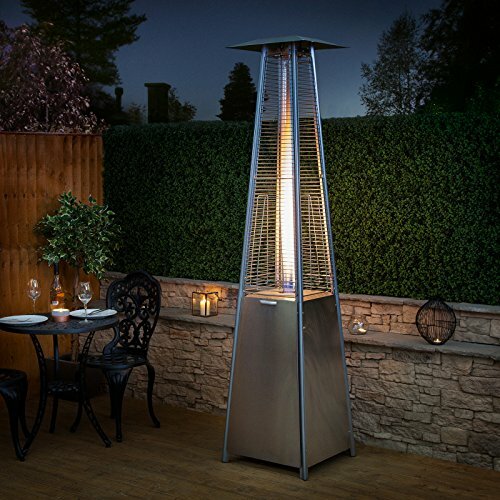 This is by far one of the most impressive patio heaters available on the market today. Offering a whopping 32,000 BTU’s this heater can keep even the largest patio, garden or event toasy! This is a floor standing heater, but comes with wheels and has a slick stainless steel finish. 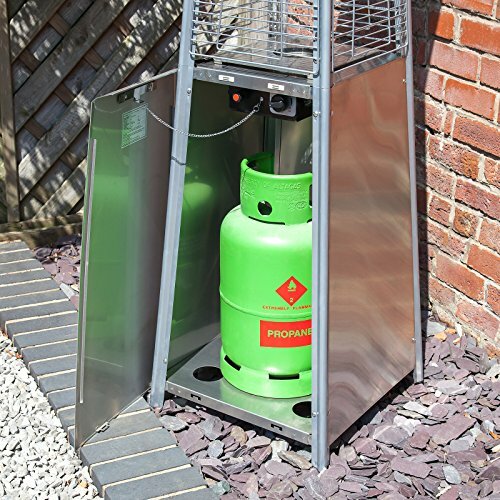 We do recommend purchasing a cover for this unit as well to prevent tarnish to the unit from the elements. At the time of review (5th June 2017) this was priced at £249.99 *check current price*, it has been seen as low as £199.99 (15th March 2016), and as high as £300.00 (May 28th 2016). So anywhere between £240-280 is a fair price to pay for it. With an average rating of 4/5 from 22 customer reviews. It has an adjustable 9500W of power, and can be run on either propane or butane. We would recommend propane as the free regulator and hose provided runs on propane only! It weighs 25kg and stands at just over 2.2m tall with a width of 52cm so make sure you have the space to build and store it. These figures are rough estimates based on full power usage of your patio heater. 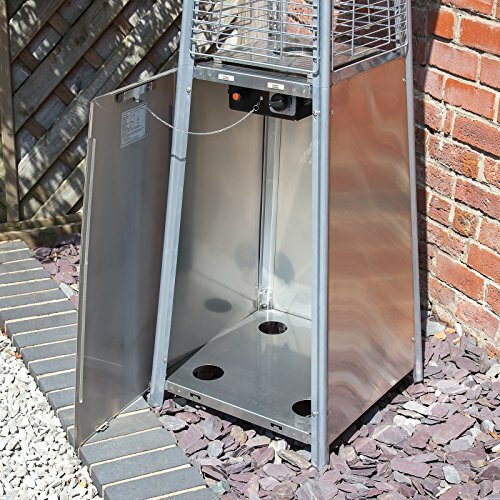 This patio heater has the storage space underneath it for a 13kg bottle, so factor the purchase cost of that in, on top of running costs. 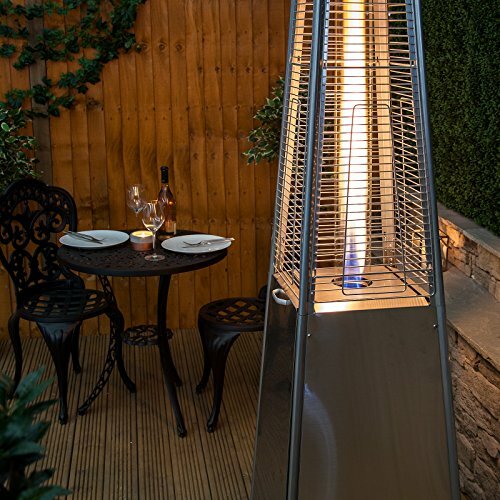 At full power we can expect this patio heater to cost us approximately £2.13 per hour. At half power we can expect this patio heater to cost us approximately £1.07 per hour. Definitely not the cheapest heater to run, but most home users won’t be running this at full power and will see a good month per tank with responsible usage. Commercial users should keep refills at the ready. 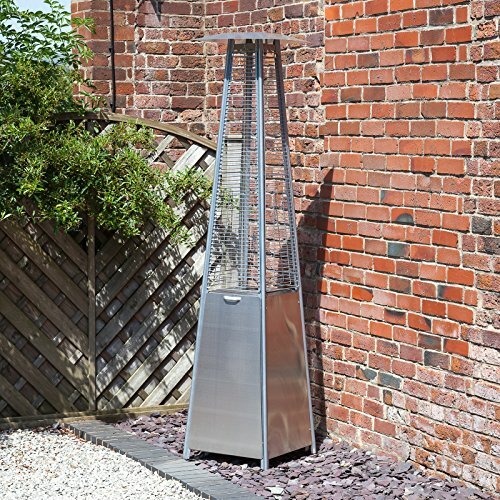 The pyramid living flame heater is suitable for both home and commercial users. It’s more of an opulent purchase for home users as there are a number of electrical heaters available for less than half the price and with less than 1 tenth of the running cost! So make sure you’ve got the cash to keep the gas flowing. These pyramid heaters really look the part. Great for commercial or residential users. Do be mindful of the gas costs though. 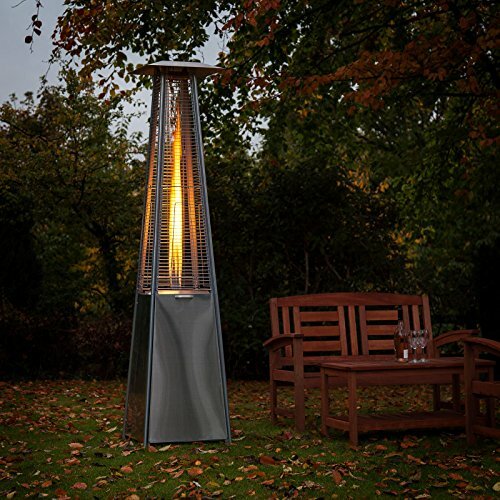 This really is a snazzy heater, with a serious wow factor. You can’t go wrong with Fire Mountain and this heater is no exception. There is some assembly required but it’s fairly simple to put together, one user mentioned “that it’s fairly easy to assemble as long as you don’t follow the instructions“. If you’re looking for a show stopper of a heater for events, or just want something to show off to your mates then this is the heater for you. Yes the running costs are high, but aside from that we can’t fault this design 5/5 stars!